Go for the most romantic surprise gift no matter what the occasion is! 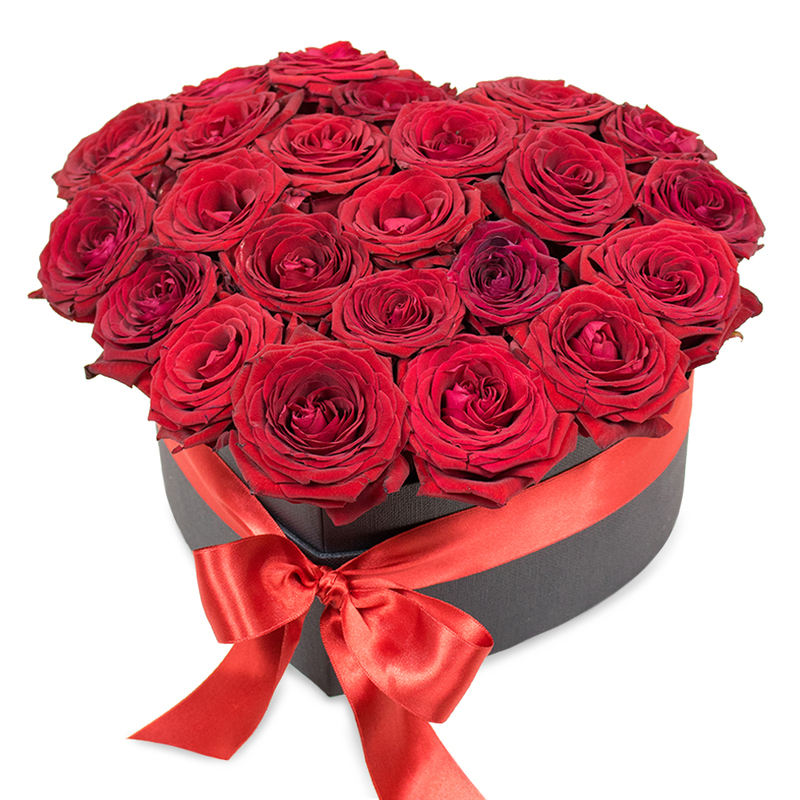 This stylish bouquet is made from lavish red roses, which are perfectly arranged to create the most special heart-shaped gift box! A flower display that is guaranteed to warm their heart! Very smooth delivery. Roses were fantastic! Truly magnificent arrangement! The roses stayed fresh for days. My mom was extremely happy, thank you Handy Flowers. Today has been great because I received the most amazing box of roses ever!!! The best anniversary gift! These gorgeous flowers were delivered yesterday. They are so beautiful that I can't take my eyes off them. thanks! My girlfriend adored the flowers I ordered for her. The heart made from roses looked amazing! Will buy from this online flower shop again, that’s for sure! Don’t know what I would have done if it wasn’t for this online flower shop. They helped me choose this gorgeous arrangement at the very last minute and delivered it just in time for the occasion. Thanks so much!